Is it difficult for Thais to understand the Japanese way of working? Do Japanese understand how to motivate their Thai colleagues? Do your people hesitate to report bad news? Do managers have to struggle to draw it out? Do Thais understand Ho-Ren-Soh well enough to work with a Japanese company? How can the language barriers be overcome? The program explains and demonstrates a variety of ways for Thai and Japanese colleagues to improve their understanding and communication. The result is higher productivity and better working relationships between members of the team. 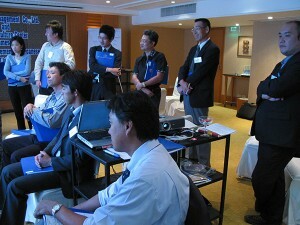 Japanese managers gain specific skills to help them function effectively and smoothly in the Thai environment. 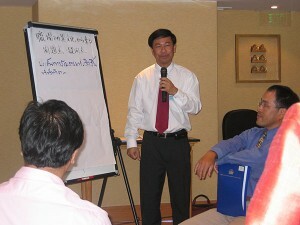 Thai managers gain increased competence for dealing easily and openly with Japanese colleagues. Participants gain special insights into important management functions, which may be different between cultures such as decision processes, meeting methods, ways of achieving urgency, lines of communication within each organization. Participants develop, through working together in this course, a healthy feeling of willingness to cooperate, as well as greater flexibility and mutual respect, so essential to effective teams. Finally, participants acquire new management skills. 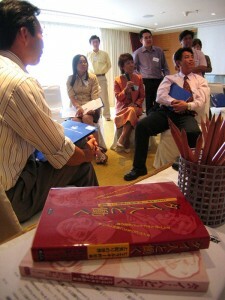 Thais learn how to gain confidence and results in dealing with Japanese. Japanese learn directly, from their Thai colleagues, how to manage in ways acceptable to the Thais. The good relationships built during the course last long after these colleagues return to work. The workshop owes much of its reputation to the unique atmosphere, friendly and constructive right from the start. Most of the cross-cultural skills are learned directly from the other members of the team, with occasional guidance and summaries from the Course Leaders. This approach stresses the mutual support, which participants give each other during the program, and makes it very likely that such support will continue back on the job. The course is taught in both Japanese and Thai, throughout. In addition, since 1973 Cross-Cultural Management Company has helped over 15,000 Thais to gain greatly improved skills in dealing with foreigners of various nationalities in our course, THE SKILLS OF CROSS-CULTURAL MANAGEMENT IN THAILAND. Copyright © 2019 All Rights Reserved · Cross Cultural Management Co., LTD · 2T Yongkiat Glass Building 5th Flr.